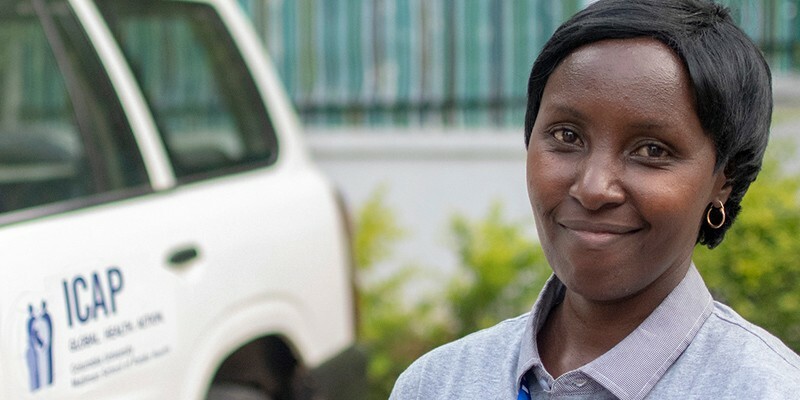 Although Rwanda’s strategy for prevention of maternal-to-child transmission (PMTCT) has been largely successful, specialized approaches are still needed to ensure the health of children living with HIV. ICAP is supporting the Ministry of Health in looking at health outcomes before and after revisions to its pediatric antiretroviral therapy (ART) guidelines in order to shape further improvements. Rwanda is also implementing an HIV population-based survey to estimate incidence, prevalence, and viral load suppression at the national level in order to support evidence-based planning and decision-making. The objective of this project is to conduct a retrospective chart review to examine health outcomes of HIV-infected children ages 18 months to five years initiating antiretroviral therapy and to compare outcomes among children initiating ART prior to and after the introduction of Rwanda’s revised pediatric ART guidelines. Dr. Veronicah Mugisha is a physician and public health specialist with over 30 years of clinical, research, and program management experience in the areas of HIV/AIDS, sexually transmitted infections, and epidemic and disaster management. A Ugandan national, she received her medical and post-graduate degrees from Makerere University in Uganda. Dr. Mugisha has worked across both government and NGO sectors. She has held a number of positions with ICAP, including as Country Director for ICAP in Rwanda from 2011-2013. Prior to that, she was Deputy Country Director for Programs and PHIA Project Director in Tanzania, and Senior Monitoring and Evaluation Advisor and then Director for Planning, Monitoring, and Evaluation in Rwanda. Before joining ICAP, Veronicah served the Planning, Monitoring and Evaluation Director for Global Fund projects in Rwanda, Country Director for JSI in Rwanda, and Director of Epidemiology and Public Hygiene within the Ministry of Health of Rwanda. Prior to that, she was an emergency physician at Mulago Hospital in Uganda.